CATHARSIS: Where there's smoke.....You VENT! All I wanted was my usual breakfast of toast and fried egg. But then I had to step away from the stove as I had my pan preheating while I went to the fridge to grab my egg and then got distracted with other things. I didn’t realize I hadn’t turned on the vent fan and the pan had gotten too hot that it began to smoke....A LOT! Beep!!...Beep!!....BEEP!!!! By the time I thought of turning on the vent fan above the stove, it was too late and the smoke alarm had been activated. To anyone who has had the 'pleasure' of hearing those things, you would have to agree that they are quite effective at inducing panic. 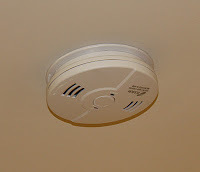 The sound is extremely high-pitched and if you are aware that it's a false alarm, that there's really no fire in your house, it's bound to increase your sense of panic because more than anything else, you want the sound to stop before you bother any of your neighbors and further embarrass yourself! This is exactly what happened to me and believe me when I say I was running inside the house like a mad woman, opening doors and windows to try to get rid of as much smoke as I possibly can. It did not help that this smoke detector we have now is a fancy one. 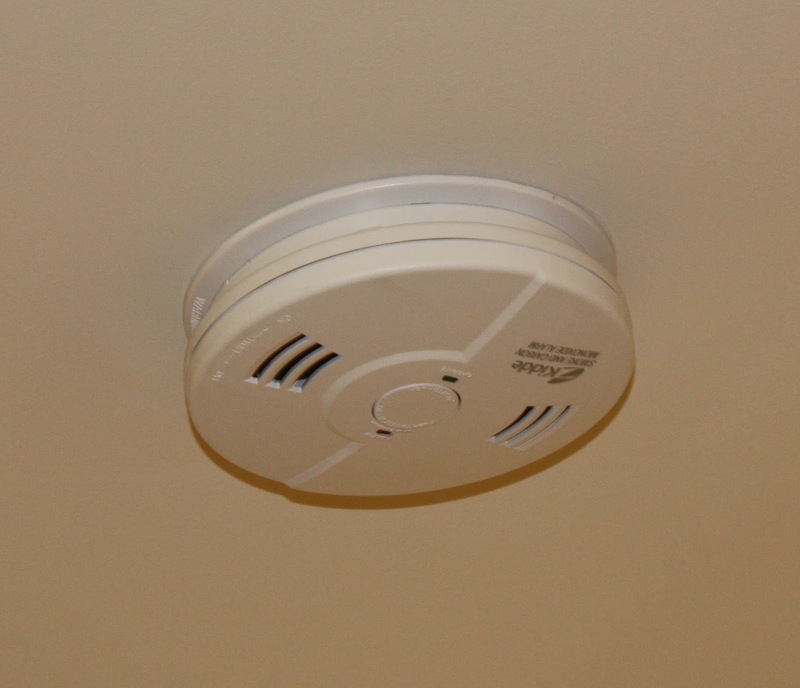 It did not only have that annoying high-pitched beep, it also had a female voice repeatedly saying 'FIRE'. "Yes, yes, I know but would you please shut up now 'cos there really is no fire!! ", is what was going through my head. The strange thing is, after hearing this warning voice for 2 minutes, I began to seriously get concerned. Though I know it was just the smoke from my pan that triggered the alarm and that there really was no fire in the house, hearing that scary, alarming voice made me go through every single room to check if indeed there is no fire. I began doubting myself and got unspeakably paranoid as I hurriedly went around to make sure nothing else was in flames! As I had suspected, everything was fine and after a few more minutes of enduring the noise and the panic, the alarm stopped and both Noah and I were finally able to breathe and calm ourselves down. At this point, the realization hit me. My reaction was a classic one, something all too familiar to me. It's when I know one thing and feel so certain of it. And then the 'noises' come. I begin to be overpowered, overwhelmed by others' voices, opinions, interpretations, expectations and stereotypes. I begin to doubt myself, second-guess what I thought I knew and was so certain of, all because everyone else around me is drowning out my own truth with their own fears and well-meaning advice (though sometimes unsolicited). Though I'm the one directly involved in the situation, the one with the full picture and understanding of whatever it is that's going on and the one with the firsthand information, there are times when others just have to put their 2 cents in until it all snowballs and turns into 2 thousand, and ends up diluting the whole picture, hence confusing me and pushing me to the edge of insanity. In such situations, I need to remind myself of what I know to be true deep in my gut, in my soul. It is wise to heed warnings and wise words from others, but only when you know there is real data to back it all up. When overwhelmed and confused, panic is the worst thing you could give into. Believe me when I say that when you act from a place of fear, it will be a decision you will end up regretting. You need to find your center, your calm; silence the unnecessary noise and believe that soon enough, the smoke (or dust) will subside and you'd be able to see clearly once more.